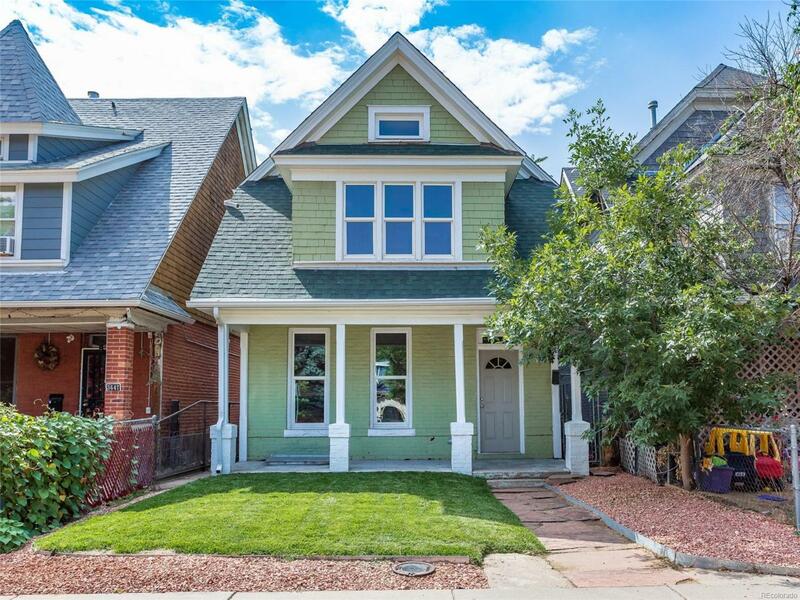 Bright and beautiful, this 1880 brick Victorian sits in Denver's trendy Cole neighborhood. The completely renovated home has old-world charm with modern amenities! The open first floor consists of a large living room with original fireplace and mantle, a stunning kitchen with new appliances and a rare large dining room! Soft-close cabinets, subway tile and both recessed and under-cabinet lighting complete the spacious kitchen. Both the kitchen island and bonus sunroom offer additional seating. New hardwood, carpet and tile throughout. The large master bedroom boasts an ensuite 3/4 bathroom with double sinks and a walk-in closet with barn-doors. The basement provides a great flex space and non-conforming 4th bedroom with egress window. Main floor laundry room. Fenced backyard and new 2-car garage. Newer roof and windows. Close to Downtown, RiNo, light rail, restaurants, coffee shops, parks and easy I-70 access!